I am proud to present the first Macher of the Month to none other than Ryan Braun, who is so good that he merits his own logo! Ryan Joseph Braun, was born on November 17, 1983, in Mission Hills, CA, won the National League Rookie of the Year Award in 2007, during which he led the National League in slugging percentage. He also won the Sporting News NL Rookie of the Year, the Baseball America Rookie of the Year, the Baseball Prospectus Internet Baseball NL Rookie of the Year, and the Players Choice NL Most Outstanding Rookie Awards. Over the prior decade, the only other NL hitter to win all 5 awards was Albert Pujols, in 2001. In 2008, Ryan was included on the 2008 NL Sporting News All Star Team, won the 2008 NL Outfielder Silver Slugger Award, and was third in the voting for the 2008 NL MVP award, with 139 points, behind Pujols and Ryan Howard, for which he received a $50,000 bonus. Ryan’s father, Joe, is Israeli-born and immigrated to the United States at the age of seven. His nickname is “The Hebrew Hammer,” which references his Jewish heritage, former Brewer Hank Aaron (whose nickname was “Hammerin’ Hank”), and the movie The Hebrew Hammer, starring Adam Goldberg. Ryan is one of the highest-drafted Jewish ballplayers in the history of professional baseball. The New York Yankees made Ron Blomberg the number one pickin the 1967 draft. Ryan was considered the best Jewish minor league baseball prospect in 2006, and became major league baseball’s first Jewish Rookie of the Year the following season. In each of 2007 and 2008, Ryan hit more home runs (34 and 37) than all but 3 of the top 10 career Jewish home run hitters had hit in their best seasons. 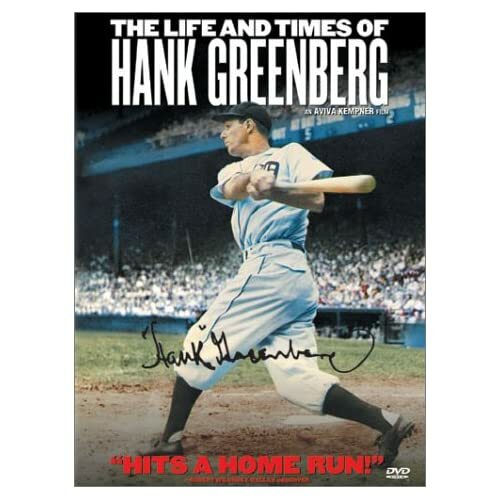 Only Hank Greenberg (58), Shawn Green (49), and Al Rosen (43) hit more in a single year. “Braun” was, coincidentally, the family name of Sandy Koufax, until his mother remarried and he took his stepfather’s name. “There’s no (family) connection that I know of,” Braun said, “but it’s kind of cool.” In another coincidence, Ryab lived for a time with his maternal grandfather in a house that previously belonged to Jewish Hall of Fame outfielder Hank Greenberg. Ryan’s grandfather has lived in the house for over 40 years. In December 2007, Ryan was the only Jewish athlete invited by President George W. Bush to the annual Hanukkah Dinner at the White House, where he talked baseball with the President. Now on to the updates. As far as I know, none of our boys played on Monday, so this update only covers yesterday’s games. Brad didn’t play in yesterday’s Dodgers’ loss to the Phillies. Ryan went 1-for-4, and scored a run in the Brewers victory over the Marlins. Ryan lowered his average to .342. Craig didn’t pitch in yesterday’s Twins victory over the Tigers. Scott took a shutout into the seventh and gave up one run and four hits in 6 1-3 innings for the first-place Rangers. He also walked 2 and struck out 2 in the Rangers victory over the Mariners. Scott left with game tied 1-1. The Rangers exploded for 6 runs in the bottom of the 7th, giving the victory to rookie Derek Holland, who earned his first career victory. Scott’s stellar pitching performance lowered his ERA to 4.85. John didn’t pitch in yesterday’s Pirates win over the Cardinals. Gabe went 1-for-2, with a single and knocked in a run with a sacrifice fly in the Rays loss to my O’s. His raised his average to .234. Ian went 3-for-5, and hit his 10th double of the year. He raised his average to .316. Jason didn’t pitch in yesterday’s Rockies big victory over the Astros. Scott pitched a scoreless 9th inning, with one strikeout, in the D-backs loss to the Reds. He lowered his ERA to 1.80. Scott gets the Chai 5 for the second time in a row! Youk was placed on the 15-day disabled list–retroactive to May 5–because of a strained oblique on his left side.